The end of summer is near and soon pools will be closing, all the beautiful flowers will begin to fade, and outdoor living will be over for the year. 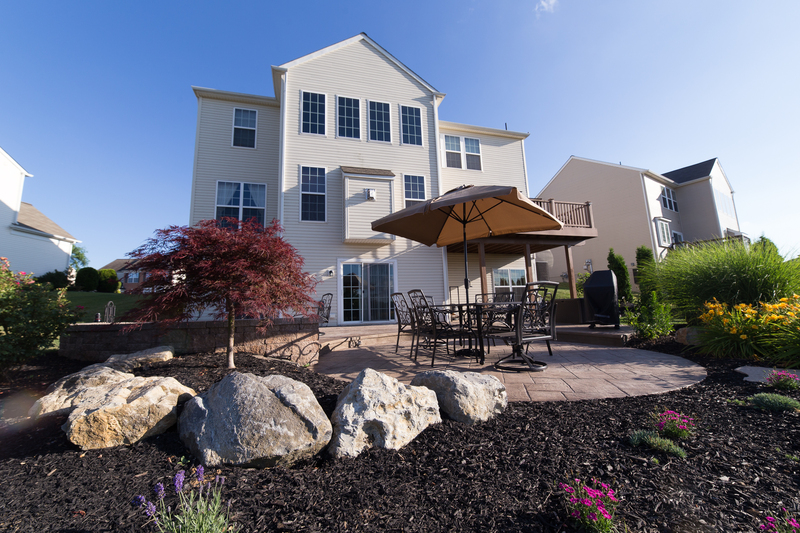 Why wait until next spring to start renovating your backyard? Be proactive and let us help you in the design process so that your project is READY TO GO FOR SPRINGTIME!!!! Not only is fall a great time to plant, but it is also a great time of the year to install patios and new outdoor spaces for your backyard. 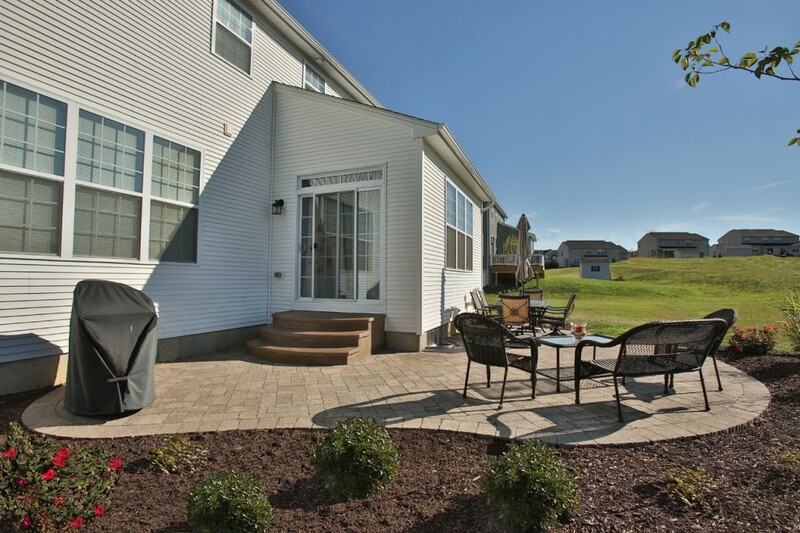 Many people want to be able to enjoy their patio for the summer and not have to worry about adding planting beds or waiting for grass to grow around the project installation until they can fully enjoy the patio. Installing your backyard project now ensures that you won’t have to wait through the busy spring months where pool decks and patios seem to be asked for the most. So why wait when the process can start this fall! 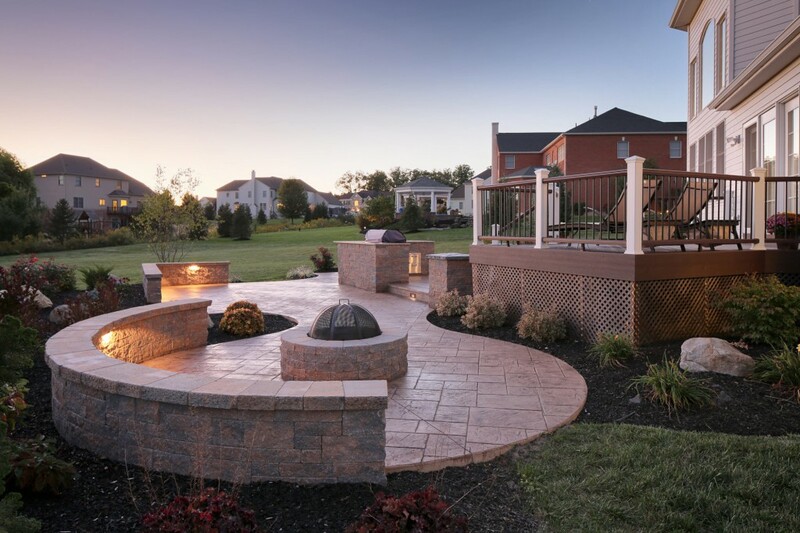 Contact us today so we can set up an appointment to discuss a complete landscape design and go over the installation process for your dream backyard. 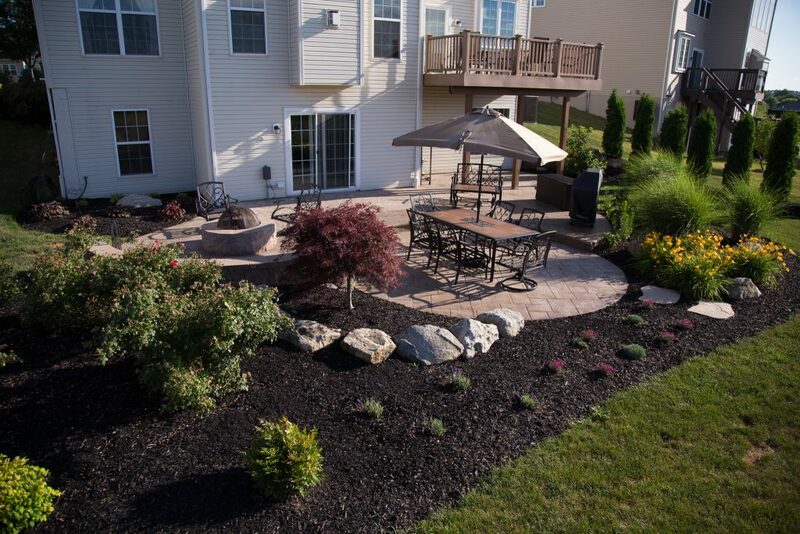 Our backyard designs are custom designed and specific to the site and your desires. 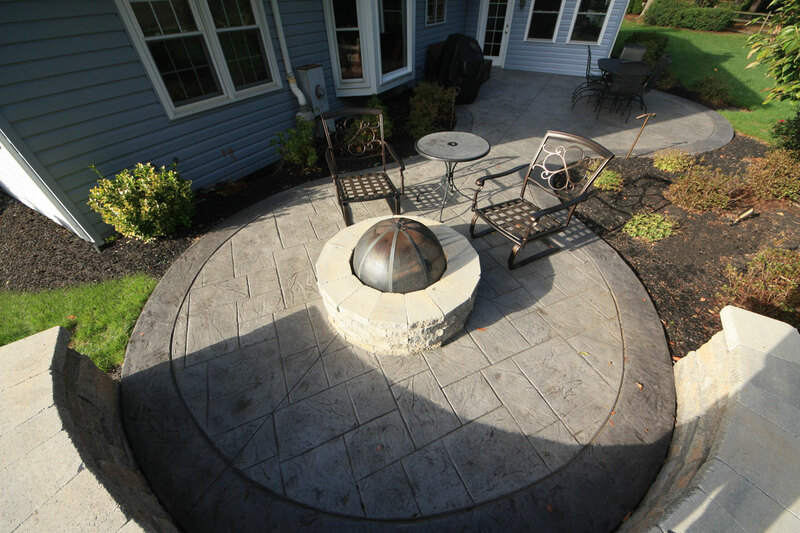 We will construct your outdoor living area using stamped concrete, concrete pavers, or natural stone. Each material has its advantages and they come in a variety of colors and color blends with a variety of interesting patterns and designs. Check out these beautiful backyard projects we created for our clients and check out our other finished outdoor living area and patio projects we’ve completed over the past few years on our website galleries! !